Hours after Senator Hope Uzodinma polled the highest number of votes in the Imo state All Progressives Congress primary to emerge the winner, Hon. Uche Nwosu has declared himself as the winner with the highest number of votes. Senator Uzodinma was declared the winner by the Chairman of the Electoral Committee, Ahmed Gulak in Owerri in the early hours of Tuesday. Uzodinma was announced to have polled 423,895 votes while Hon. Nwosu recorded 10, 329 votes to place seventh out of the nine aspirants. 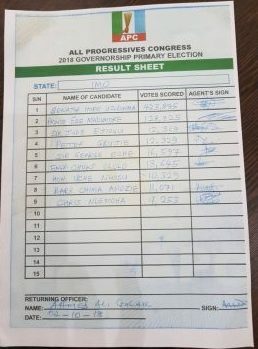 The result sheet had the signature of Gulak on it as the returning officer. After the declaration of the result, Gulak was reportedly missing by the Imo State APC when he was not found in his hotel room where he was lodged. “Myself, Col. Igbanor and Hon Bernard Miko were the only three doing this job, as others disappeared, and we learnt that they were at the Government House,” Gulak said. “So, when we sensed that something was fishy, by 4.00am, we left Owerri after concluding the entry of the results. I’ve emerged the @OfficialAPCimo Guber Candidate, I pulled a total of 455,655 votes against Hope Uzodinma who pulled 9,159 votes! The next step shall be winning of the general election by God’s grace! 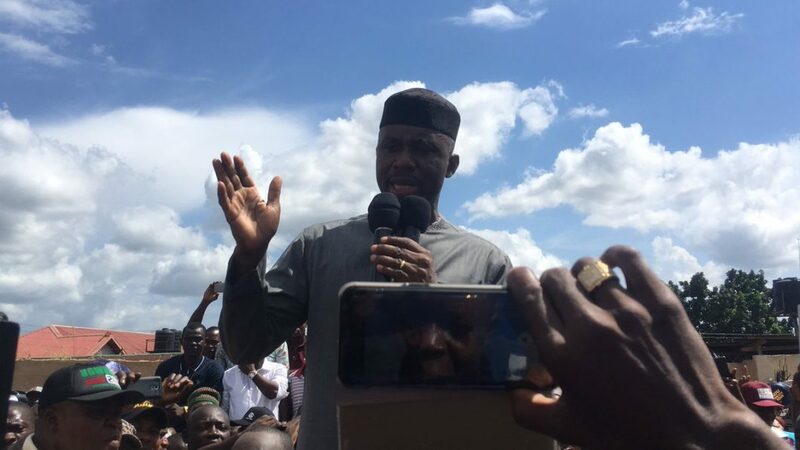 Prior to Nwosu’s announcement, APC’s National Working Committee, in a statement signed by the acting National Publicity Secretary, Yekini Nabena, said that the exercise in Imo has been suspended indefinitely.